Libyan Opposition Leaders Emerge Libyan rebels have suffered some military setbacks but are gaining some ground on the diplomatic front. U.S. Secretary of State Hillary Clinton is set to meet with members of the opposition during her trip to the region. Groups fighting against the regime of Libyan leader Moammar Gadhafi last month formed an umbrella organization known now as the Interim Transitional National Council. The goal was both to reduce factional differences and to put a spotlight on some recognizable leaders. "The main aim of the national council is to have a political face ... for the revolution," Abdel-Hafiz Ghoqa, a spokesman for the group, told reporters in announcing its formation. Even as the rebellion is suffering some military losses, it's enjoying some diplomatic victories. Secretary of State Hillary Clinton announced Thursday that she will meet with members of the council during her upcoming visit to the region. She said that the State Department has ended its interactions with the Libyan government's embassy in Washington. But the U.S. has not recognized the rebel group as the legitimate government of Libya. On Thursday, French President Nicolas Sarkozy did offer the council formal recognition — the first such action taken by a major European county and a surprise to France's neighbors. The chairman of the national council is also de facto Public Enemy No. 1. Libyan leader Moammar Gadhafi put a half-million-dinar reward (roughly $410,000) on his head March 9. That's for his capture, while information leading to his arrest is good for 200,000 dinars. 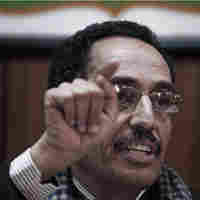 Abdul-Jalil had previously served as Gadhafi's justice minister but resigned to protest "excessive use of force" against demostrators. 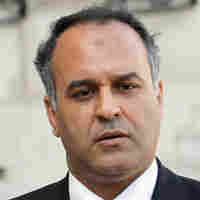 After defecting, he claimed that Gadhafi had personally ordered the Lockerbie bombing that killed 270 people in 1988. The council's vice chairman is a representative for Benghazi, and one of its spokesmen. 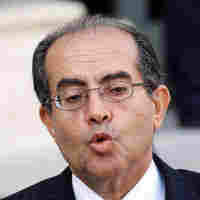 He is a human-rights lawyer and former president of the Libyan bar. Ghoqa was arrested on Feb. 19 but was released a few days later — and initially became spokesman of an earlier protest group. A former minister for economy, trade and investment, he was serving as Libya's ambassador to India but stepped down last month out of objection to "the violence against civilians by the government and mercenaries," as he told the Indian Express. He had twice attempted to step down from his ministerial position in 2008 owing to disagreements with the prime minister but was persuaded to stay, according to a leaked U.S. diplomatic cable. He now serves on the national Ccouncil's steering committee and shares responsibility for foreign affairs. He was part of the delegation that received France's formal recognition of the council on March 10. Another member of the national council's steering committee with responsibility for foreign affairs, Jibril also heads the council's effort to streamline decision-making. 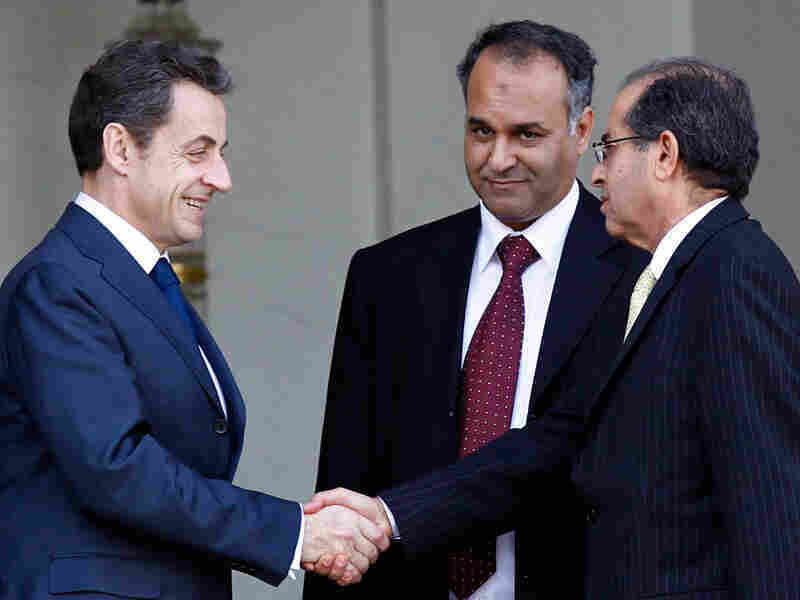 Jibril accompanied Issawi to the Paris meeting with Sarkozy. He was educated and taught at the University of Pittsburgh, receiving his doctorate and writing numerous books on strategic planning and decision-making. Before the uprising, he was involved in a democracy promotion project and had served as head of the country's National Planning Council and National Economic Development Board. A leaked U.S. diplomatic cable from 2010 describes him as "well-connected within the regime" but also as someone who was seeking to promote more open relations with the U.S. The former general is now the council's steering committee member in charge of military affairs. He took part in the military coup that brought Gadhafi to power in 1969 and was close enough to the country's leader to have taught him to drive. But in 1975, Hariri took part in a coup plot against Gadhafi. He was sentenced to death, but Gadhafi commuted his sentence in 1990 to house arrest in Tobruk, a city in the east, where he remained until the current rebellion. His history has given him credibility and stature among the rebellion's military factions. The council's representative for youth is also a member of the city council of Benghazi. In recent years, he has worked as a lawyer for victims of the 1996 Abu Selim prison massacre, in which more than 1,200 prisoners were killed by Gadhafi's forces. His arrest at a Feb. 15 demonstration by the family members of the victims of the 1996 massacre helped spark Libya's protest. People who gathered outside a police station to demand his release were reportedly fired on, triggering anti-government protests that grew in size and intensity and soon spread to other cities. He was released in an attempt to buy calm that didn't take. Although sometimes rumored to be part of the National Council, he has not been formally identified as such. But Younis is a prominent opposition figure regardless. A former commander of the powerful Thunderbolt commando brigade, Younis has been described by Al-Jazeera as "former Gadhafi No. 2." He was Gadhafi's interior minister but switched sides after being sent to Benghazi to crush protests on Feb. 17. 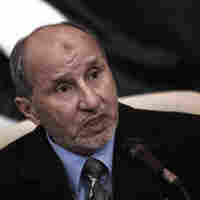 Younis was among the army officers who joined Gadhafi's 1969 coup. He is now using his military contacts to organize the rebels' defense against pro-Gadhafi attacks.